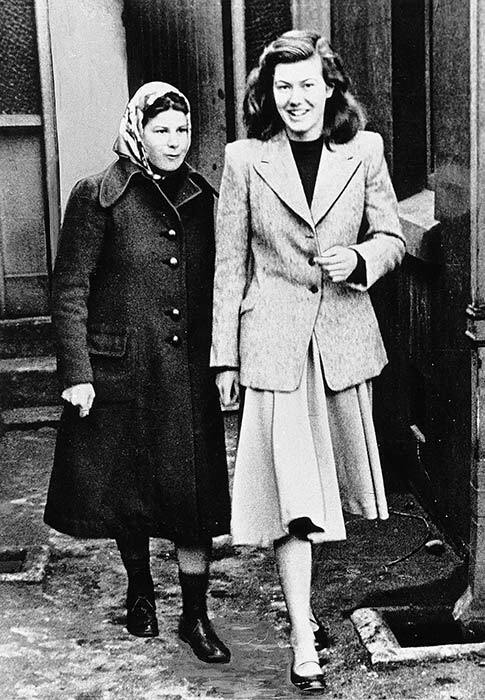 The trial of teenagers Pauline Parker and Juliet Hulme for the murder of Pauline's mother, Honora, on 22 June 1954 attracted a large audience. Much of the evidence presented by witnesses at the trial focused on the close relationship between the two girls, their absorption with one another, their writing and their fantasies about travelling to the US to get their novels published. Dr Stallworthy, an Auckland psychiatrist, reported that Parker had told him, 'We knew we were doing wrong. We knew we would be punished if we were caught.' He testified that Hulme also knew that she was murdering someone and that it was wrong. Stallworthy saw the pair as two intelligent young women 'who were very fond of one another', and who considered that 'the most important thing in the world was for them to be together'. Permission of the Christchurch Star must be obtained before any re-use of this image.